Being a new Linux user, sometimes you may feel your Linux system is scary and confusing if you recently have come from Windows or Mac OS. But unquestionably the Linux Environment is not like that. Here you can enjoy the freedom of using lots of amazing Best Linux software which comes free of cost mostly. In this article, I am going to focus on a detailed list of Best Linux software which will help the Linux users to get the latest and best Linux apps from different categories. But the best software for Linux is subjective and depends on users need. Moreover, in the Linux world, there are lots of alternative to every software like many distros to choose from. So while writing this content, I tried to include the one which generally comes with the essential tools and features for accomplishing the purpose. This content will touch upon all the categories for selecting Best Linux software. This article is a compilation content of all other top best list content which already published in this site. Thus it’s going to help you to get all the Best Linux apps in one place based on various categories. As UbuntuPIT mostly deals with Ubuntu Linux, so I will focus on the installation process for best Ubuntu apps. This content will grow every day as and when a new Linux list content gets published. There are lots of choices comes to mind when the question arises about best Linux Partition Manager. If you are a new Linux user or not comfortable with a text-based partition manager, then GUI based Gparted is the best option for you to choose. You can do almost all the task of disk partitioning using this free and open source partition manager. PDF is considered the best way of emailing, sharing or printing various documents. It’s a well-supported format across all the OS including Linux, Windows, Mac OS, Android and much more. There are many good options out there for selecting best Linux PDF Editor for every OS. LibreOffice Draw is one of them which comes preinstalled in all the major Linux distros. 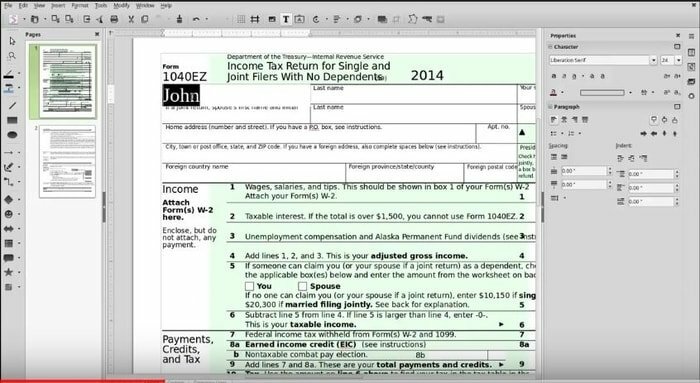 It’s a free and open source Linux pdf editor which let you fulfill the necessary task. Master PDF Editor is another one which comes with lots of features and tools for editing PDF files in Linux, but it’s not a free and open source. In the arena of Linux, LaTeX is considered as a standard markup language. It helps the users for editing the documents to markup level. TeXmaker is one of the best LaTeX editor available out there. It’s to be the most user-friendly LaTeX IDE for the newbie. 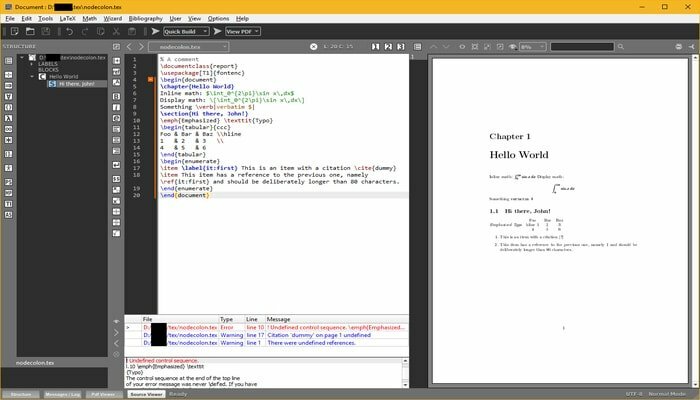 There are lots of best LaTeX Editor available for Linux, but it seems difficult to choose the Best LaTeX Editor for both advanced and beginner. For that reason, I have written a detailed LaTeX tutorial and how to install those on Ubuntu Linux which will help you to get the best one. Please see the resource link for that tutorial. 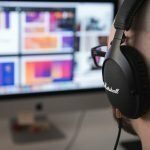 Screencasting is an important task for many people for many reasons including making a video tutorial, creating a presentation, compiling a how-to tutorial or do a software review or having the fun of streaming while playing pc games. Moreover now a day many users are making an earning opportunity for themselves through YouTube, Facebook video or any other video hosting sites by making many helpful how-to guide videos. 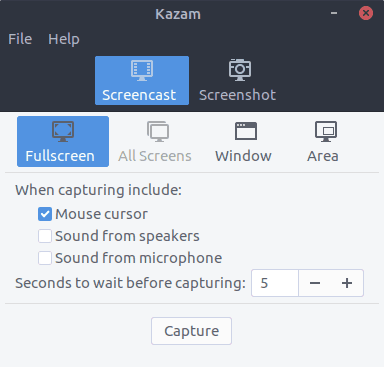 Kazam is one of the best lightweight screen recorder available for Linux desktop. It’s straightforward and nifty tool for screencasting. There are lots of Linux screen recorder available in the market, but here I am only going to share a list of best Linux screen capture and Live video streaming software, and how to install those on Ubuntu as this site focuses solely on Ubuntu Linux. If you are searching for something that is entirely free, open source and comes with minimum configuration, then Transmission torrent client is one of them. It supports cross-platform like Windows, Linux, Mac OS, and Unix based systems. There are lots of favorite torrent clients available in the market. But it’s challenging to find out which one comes with the best set of features. Here I am reviewing and sharing a collection of open source torrent client for Linux so that you don’t need to waste your valuable time by installing and checking all those torrent clients one by one. FTP ( File Transfer Protocol ) is one of the great and efficient ways of transferring files over a TCP based system like the internet. It helps to move a large number of computer files from one host or system to another host or system without any hassle and complexity. FileZilla comes on top of this list of best Linux FTP Client. This FTP app is one of the best and secured FTP client for all the major platforms like Linux, Unix, Windows, and MacOS. FileZilla is a reliable and fast FTP, FTPS and SFTP client for Linux. There are lots of robust and secure Linux FTP Client available in the market. But here my tutorial will help you to get more. To recovers from some unexpected situations like human errors, Disk failure or RAID, Corruption of file systems we need a good backup plan. Bacula is an Open Source Backup Software. This computer backup system can work in various networks. It is an automated task that need not require intervention from a systems administrator or computer operator. Bacula supports Linux, UNIX, and Windows backup clients. Simplenote is the best note taking the app for Linux right now. It provides all the features that a modern and professional note-taking app must have. Evernote is one of the best and top graded note taking apps for all the dominant OS. But Evernote doesn’t provide an official client for Linux. That’s why I have created a tutorial which will offer you a list of best Linux note-taking apps ( Evernote Alternative ). Gnome Terminal emulator is one of the best Linux Terminal Emulators for Linux Gnome desktop environment. It has lots of practical and useful features that make it standalone from others. Most of the users are satisfied with the default Terminal emulator of their Linux Distributions. But the option is always open to trying a different one and get settled with that. Here I am going to share a generic list of 15 Best Linux Terminal Emulators for both beginners and advanced Linux users. Coding is great fun. You can make useful and great apps for your operating system if you can learn well how to do coding. To be a great applications developer, you have to know about all the details of coding or programming in various applications. 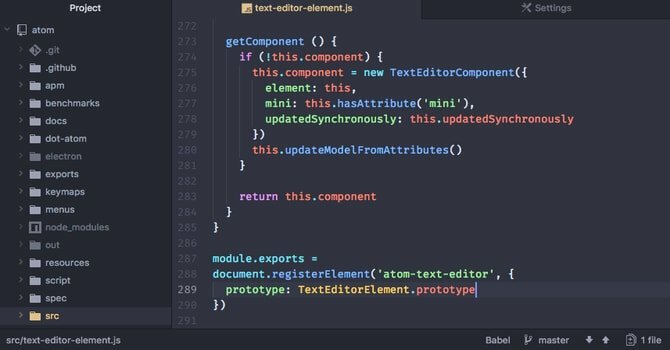 Atom is a Linux code editor that is smart, trendy, approachable, and yet customizable to the core. This excellent Linux text editor offers you to customize it to do anything you want. There are various types of code editors or text editors or HTML editors for several operating systems which are available to make your coding capability easy and quick, while some of them have worked great across the OS. For creating new software in Linux, there are lots of Linux code editor available out there; those can make you an expert Linux code developer. In the world of computer Operating System, there is always errors and problems especially intentionally made errors which we call trojan, malware, virus. Linux OS is much more efficient and secure OS but still, there are possibilities to have these problems. To decreasing this issues, security specialist has developed a Linux antivirus to detect and remove those threats before they harm the system. 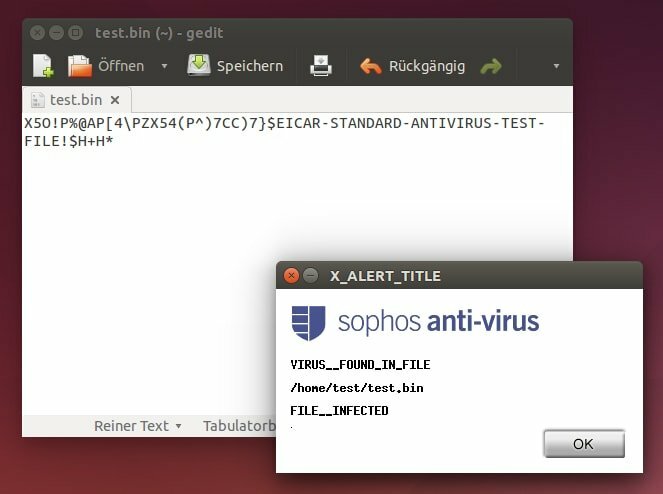 In the AV-Test, Sophos is one of the best free antiviruses for Linux. It does support not only on-demand scanning but also provide real-time scanning feature. An educational expense is always high all over the world. This expense will be more if you want to use educational software on your machine. You may be searching over the net to get the best educational software for the kids or yourself. KDE Edu suite is not just software; it is a package of software for different user purpose. 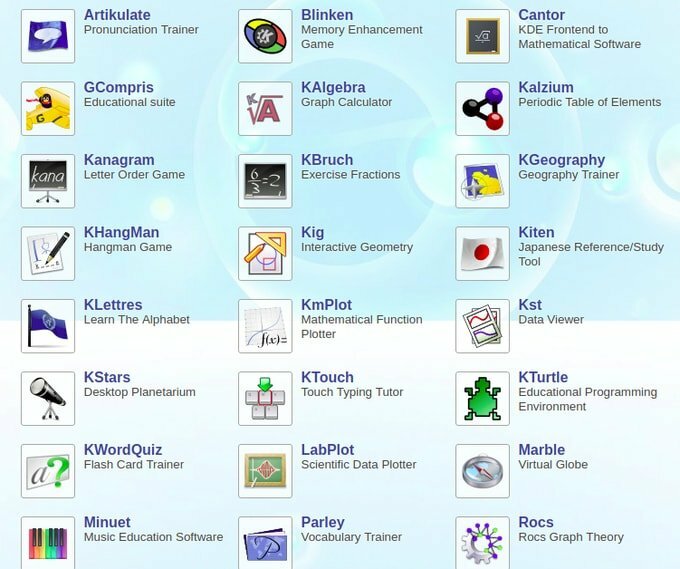 This software was started as a free educational package named as KDE educational project which now included lots of software package. If you are a student, you may doubt in mind that Linux rarely provides software which supports educational purposes. Wait a minute, You should correct yourself now as you will see a great list of Best Linux Educational Software. Video editing on Linux is very easy if you find the best Video Editing Software. There is a lot of open source Video Editing Software available on Linux. You can easily customize or edit any kinds of media files with those Video Editing Software. 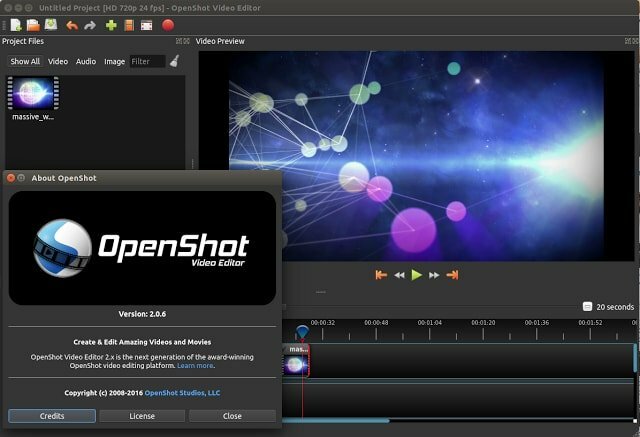 Open Shot video editor is an open source Video Editing Software on Ubuntu. It works well in the other distribution of Linux. It’s obvious to have a good download manager for Linux or Ubuntu. Though all the modern browsers have default download manager, it’s not good enough to handle effective downloading system. When the question comes whether a web browser can handle multiple download, pause system, torrent integration or fast download, then the answer is not satisfactory. uGet is an open source download manager for Linux which will download your files fast. This download manager can be efficiently organized and highly configurable. You can control your downloads in one central place. A download manager required when you go for downloading big files or multiple files. So as you are a user coming from windows or a newbie Linux user or advanced user, here I am going to share a generic list of 10 best download managers for Linux or mainly focused on Ubuntu. 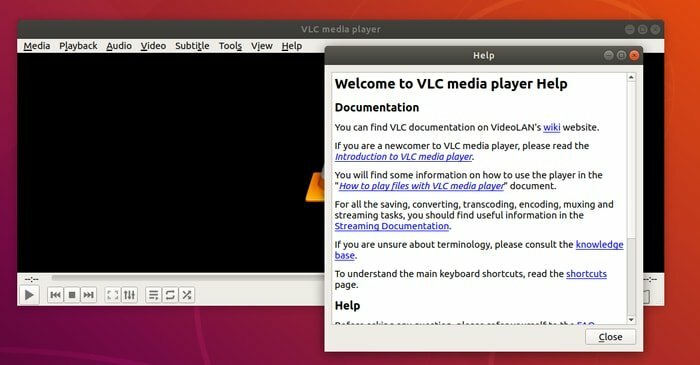 VLC Media Player is one of the best and most popular Best Linux Software in the category of video players. It is an open source media player which support almost all media file types on Linux. VLC Media Player support network shares are browsing, downloading subtitles, video playlists, pop-up video, etc. There are a lot of video players available for Linux. Those video players mainly do the same thing to play a video file. 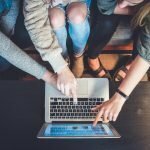 So, you need to find which video player will offer you the additional features of playing any video. Here I will be sharing top 10 free and best Linux video players with the best features that every app offers. Google Drive offers an official client for all the dominant OS except Linux until now. As a Linux user, you have lots of ways and alternatives for using Google Drive. There are many Google Drive Linux Client software available out there that can do the work for you seamlessly. If you think Insync – Google Drive desktop client is costly, then overGrive can be an excellent choice. You can enjoy all the features and tools that Insync can offer but just for $4.99 one time payment. overGrive supports all the major Linux desktop environments and distros. Generally, web browsers allow you to visit a wide range of information by accessing the online web. As there is plenty of browsing software available for Linux, undoubtedly it will puzzle you to choose the best one for your Ubuntu system. 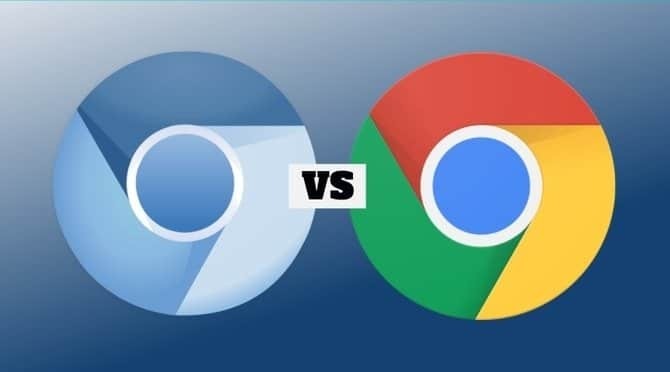 Chromium and Google Chrome, Both the web browsers come with malware blocking that ultimately ensures personal information security. Moreover, there are lots of plugins in the chrome store which eventually let you increase the functionality of the browser in the Linux system. Resource Link: 13 Best Linux Web Browsers: Which One is Right for You? Linux Media Server software can help you to set up a cost and resource useful media server which ultimately let you watch or share or listen all the media files from a remote location on Smartphone or desktop. Kodi is one of the best free and open source media server software available in the market. It offers an intuitive graphical user interface with lots of customization options. 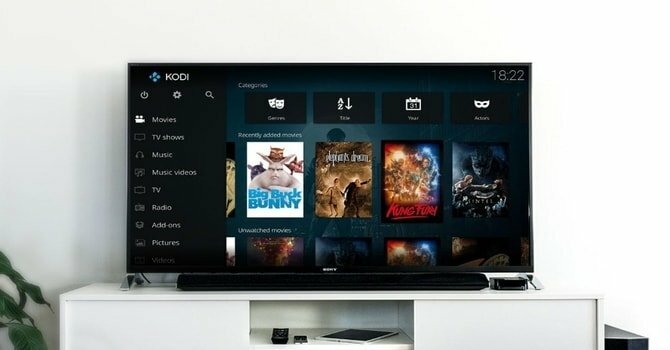 Kodi is an all in one entertainment software center which supports all the primary OS including Android, Linux, Windows, iOS, and MacOS. 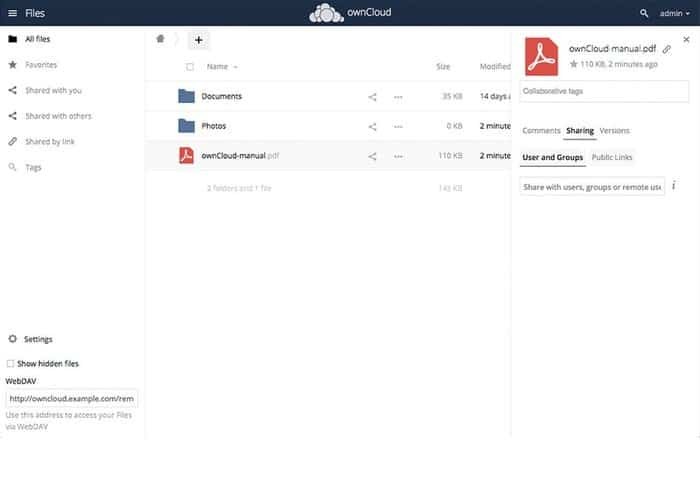 OwnCloud is one of the popular and most prominent open source community driven cloud software available in the market. It let you create easy to use a personal cloud server for both home and office use. You can also have full control over your data and who can have access at all. I believe you know about Mozilla foundation and its Firefox browser which is lighting fast and patron of open source software. Thunderbird is an incredible open source and faster Linux email client from the same development house of Firefox. It’s a cross-platform, more rapid, modern web email technologies for using email services. LibreOffice is the most favorite and well known best free office suite in the Linux community. LibreOffice is forked of popular but discontinued office suite Apache OpenOffice. 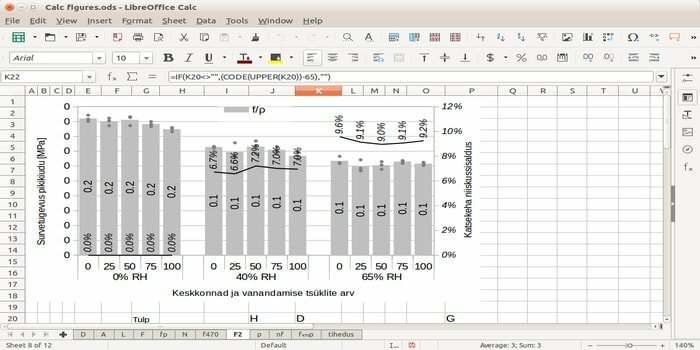 Now LibreOffice is the default free office suite for many Linux environments. Remembering password is always tricky if you have multiple passwords for various site and apparently, it is. So to mitigate this sort of problem, password manager comes into focus. KeePassXC Password Manager is there for the Linux user for quite a long time, and it fulfills the need successfully. 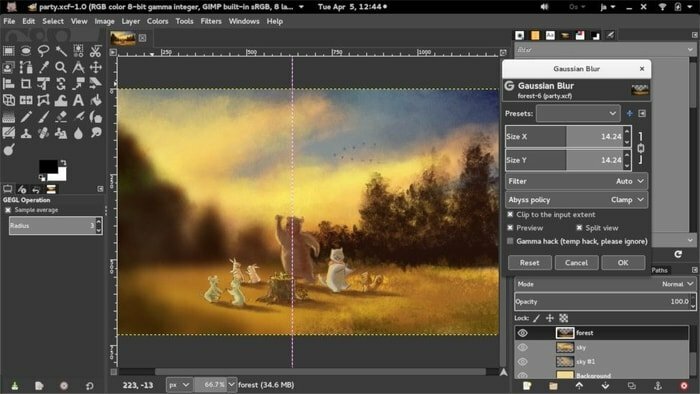 GIMP is an insanely popular open source Free Photo Editing Software Like Photoshop. It’s a multi-platform supported software which supports various system like Windows, Linux, Mac OS X and so forth. Users can quickly complete the job with this free software. 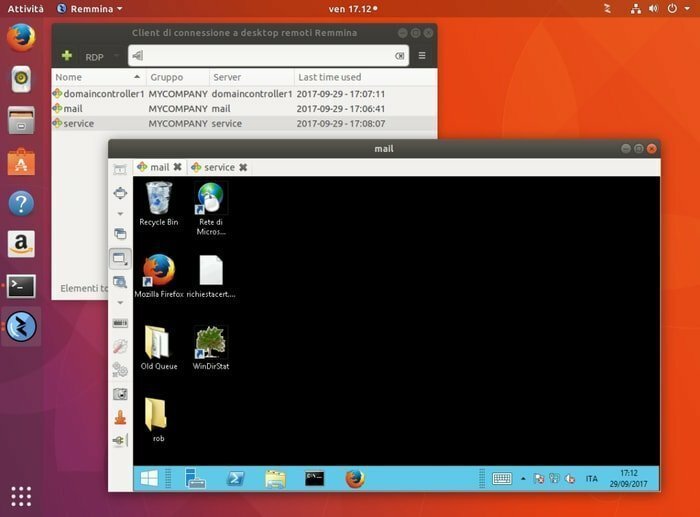 Remmina Remote Desktop Client is an open source, free and powerful remote desktop sharing tool for Linux and Unix based system. It offers feature-rich useful tools for the administrator and travelers to have easy and smooth remote access. Iptables or Netfilter is the most popular and blazing fast open source CLI based Linux firewall. Many system administrators prefer to use it for their server protection as it plays the first line of defense of a Linux server protection. ExpressVPN is one of the best VPN for Linux, and it supports a wide range of Linux distros including Ubuntu, Debian, CentOS, Fedora, etc. This VPN service provides important Linux support and speedy performance. Online Linux Terminal or emulator is the best way to practice or learn Linux commands without having a full-fledged Linux subsystem. There are no online Linux Terminals and bash scripts available in the market which let you run various shells, scripts, and commands to test or analyze the results. Among all of them, Codeanywhere is the best online Linux Terminal. Htop is an interactive process viewer and text-based task manager for Unix system. This tool offers lots of useful options to the system admin like stopping, restarting and overall controlling the programs. There are many Linux Monitoring Tools available in the market including open source software, third-party solutions, and homemade scripts run via cron. Each has its advantages and disadvantages. I have compiled a comprehensive list of Linux monitoring tools which includes all the elements of a Linux system like network, process management, server maintain etc. Ddrescue is GNU license holder software that you can use for free of cost for recovering the lost data. This Linux data recovery distro is an expert in rescuing data when read errors happen. It is a joint workplace that lets you form and control all of your projects. The tool is quite dissimilar to file-sharing and document tools. The reason lies in the sense that it is both exposed and cooperative. This software allows to underlines, markup, highlighting your pdf files. And every user always feels the necessity of these tasks. On the other hand, the tool never allows editing, converting which can break the security of the files. One of the best open source code editors we’ve seen these couple of years, Visual Studio Code combines performance with highly flexible core feature sets. 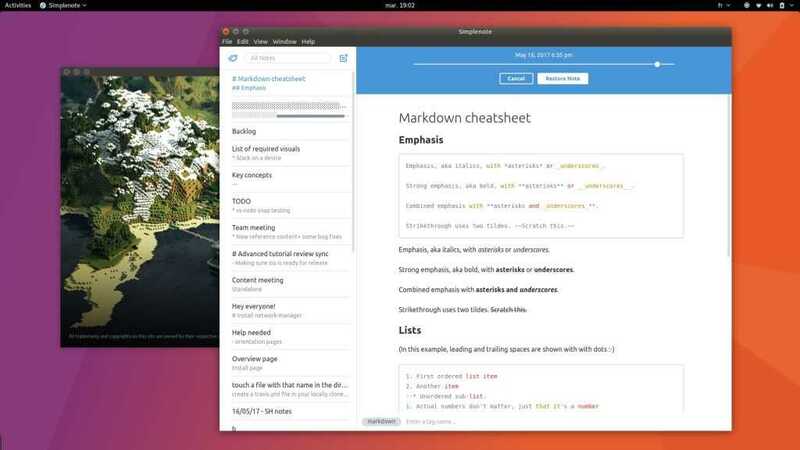 It aims at providing you with a natural working environment when writing your next web document using markdown. Audacious is the software that is considered as the best Linux Audio Player. This is the small software but it gives you a lot of options. Pause, skip song, repeat, shuffle everything you can do naturally with Audacious. A clone of Vi, the most powerful Linux text editor the world has ever seen, Vim offers all that you get with Vi, plus additional feature sets to provide ultimate user convenience. Are you looking for CCleaner alternative for Linux that comes with a modern user interface? If yes, then this is the one you need. This CCleaner alternative covers four sections such as the app cache, apt-cache, system logs as well as the crash reports. Do you know about FreeCAD? Well, FreeCAD is a free open-source solid parametric modeler for 3D design. You can easily design real-life objects with FreeCAD regardless of their size. FreeCAD is frequently used in engineering and architecture fields. Here I will not discuss any particular software for ethical hacking and pen testing tools but I will share a comprehensive list of best tools for ethical hacking and pen testing on your Linux system. In this sector, there are lots of options available in the software store. Moreover, Linux productivity software is a generic term which may include a wide range of software varieties. So I recommend you to check out the resource link for a different set of Linux productivity software and tools for your desktop. This manager can be configured in any way its user wants, from the placement of opened application to the custom keyboard shortcuts; it is configurable in every way. “ Winds” is free and open source multiplatform beautiful RSS reader specially developed on stream AI. The best thing about “Winds” is its based on AI and machine learning technology to give you better services. Like Linux productivity software and monitoring tools, Linux security tools offer a wide range of taste for different users needs. Here, we will also focus on a set of best Linux security tools for all the Linux users. Do you Like our editorial list of Best Linux Software? If you admire, then please share it with your friends and family on social media. This tutorial will help you to save lots of time not searching for the best Linux apps all over the internet. 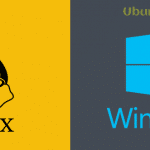 Just bookmark this page and install your desired Linux software in the system. There are lots of other Best Linux software available in the market. Did I forget to include any Linux apps that you want me to enlist here? Let me know in the comment section, and definitely, it will be included in this content. Note: The features mentioned here are not all-inclusive. The features mentioned are compiled either from their respective official websites or my personal experience using them. Spectle(screenshot Tool), Simple screen recorder. Opera is my preferred browser. It feels faster than Chrome/Chromium. Great post! I did not know about Simplenotes and Open Shot, and I’ll give them a shot! One tidbit though, why is GIMP labeled as the “Photoshop alternative”? GIMP can contend on it’s own without being under the shadow of Photoshop. Just label it for what it is, an Image Editor. It feels weird to label things by their proprietary counterpart. You didn’t label LibreOffice as a “Microsoft Office Alternative” or Thunderbird as a “Outlook Alternative”. Why single out Photoshop? Thanks for the comment and suggestions. You are correct about GIMP and the heading changed as per the suggestion. VLC screenshot is pathetic! Best Linux software yet you took a Windows screenshot?? Rightly pointed out and corrected accordingly. Thanks for the help. Some of them are right: LO, VLC, Thunderbird, Chrome/Chromium, Gimp, Kodi, OverGrive, Gparted. Others are completely miss so the best should be: Kdenlive, Qbittorrent, Bitwarden (how on earth kepass – such primitive program could win? can it work on windows, mac, android? does it have cloud and many other utilities, does it intercept new logins and fill credentials? I don’t think so, it looks dated and is only a local Linux solution so it’s not viable to take it into account IMO), Next Cloud. There is no best music player? Yeah, that’s risky, I know… ;). So maybe it was a smart move to omit it. As terminal should be some independent app. 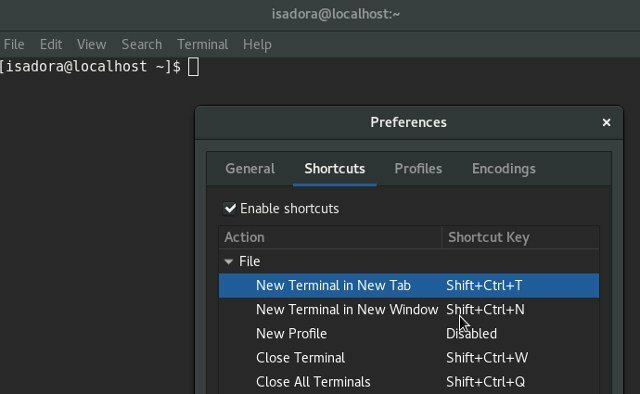 DE default terminals are just always wrong call if you use dfferent DE so gnome terminal is a serious mistake on Plasma and Konsole is pointless on Gnome, etc. So Terminator could be a pretender for example. Chrome plug-in The Great Suspender rescues your CPU from inept, greedy web page scripts! How about Bitwarden for best password manager. Bitwarden password manager is good but all can’t be in no 1 position. Though I have reviewed that one too. Check out qBittorrent for the best torrent client. I think it’ll change your mind.